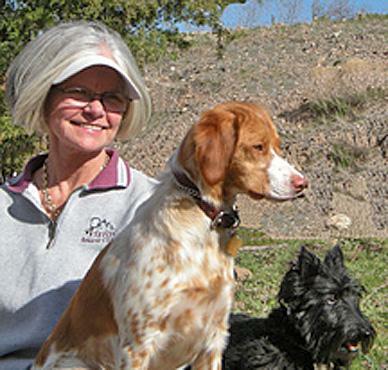 Surrounded by mountains, lakes and streams in her Wyoming and Ontario Lake Country studios, Sandy Scott is an avid outdoors woman, licensed pilot, and lives the life she depicts. Sandy Scott received her formal art training at the Kansas City Art Institute and later worked as an animation background artist for the motion picture industry. 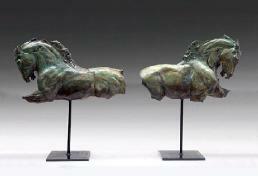 She turned her attention to etchings and printmaking in the 1970’s and to sculpture in the 1980’s. 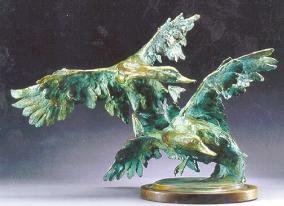 Born in Dubuque, Iowa in 1943 and raised in Tulsa, Oklahoma, she is now headquartered in Lander, Wyoming near the foundry that casts her bronzes and she maintains a studio on Lake of the Woods, Ontario, Canada. 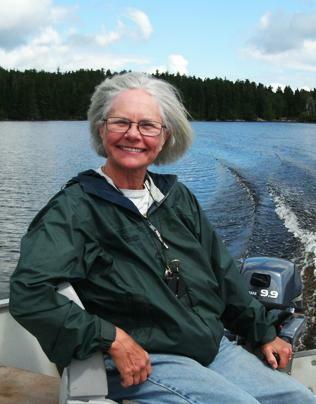 In Canada her friends Dave and Michelle Beaushane who own Nestor Falls Fly-In Outposts frequently fly her and Trish (her long time friend who manages the business end of things) to remote lakes and portages north of Kenora, Ontario. She has made 16 trips to Alaska and has been to Europe, Russia, China and South America to visit the world’s great museums. She believes wildlife artists should be in the field to accurately present their subject to the viewer. Her work is authentic. Sandy participates in annual juried exhibitions including those at the Autry National Center, Los Angeles, CA; Prix de West, Oklahoma City, OK; National Sculpture Society, New York, NY; Society of Animal Artists, New York, NY; Northwest Rendezvous, Buffalo Bill Historical Center, Cody, WY; and Western Visions National Museum of Wildlife Art, Jackson, WY; Leigh Yawkey Woodson Museum Birds in Art. She is on the teaching staff of the Scottsdale Artists' School, the master sculpture workshops at Brookgreen Gardens, Murrells Inlet, South Carolina and the Tucson Art Academy, Tucson, Arizona. She is an elected member of The National Arts Club New York, NY, the Society of Animal Artists, a fellow in the American Artists Professional League, a Fellow of the National Sculpture Society and an elected Trustee at Brookgreen Gardens. In 1998 the Gilcrease Museum honored her with a retrospective. Her work was featured in the book titled The American Sporting Print – 20th Century Etchers and Drypointints by John T. Ordeman. She has received awards for sculpture and etching from the Allied Artists, Pen and Brush Club, American Artist’s Profeeional League, Catherine Lorillard Wolfe Club, National Academy of Western Art, Scoiety of Animal Artists and the National Academy of Design. In 2014 the Briscoe Museum awarded Sandy the Legacy Award for Lifetime Achievement. She received 3 major awards: The National Sculpture Society 2015 Marilyn Newmark Memorial Award for realistic sculpture in the classical tradition;The National Sculpture Society 2016 Agop Agopoff Memorial Prize for classical sculpture;and Society of Animal ArtistsAward of Excellence; and again in 2017 The National Sculpture Society Marilyn Newmark Memorial Award for realistic sculpture in the classical tradition. In 2016 and 2017 Sandy was honored with a retrospective which will be shown at several museums including Brookgreen Gardens, Murrells Inlet, South Carolina and the National Museum of Wildlife Art, Jackson, Wyoming. The Retrospective features work from the past 50 years of her professional career.